Join us at Exeter Racecourse Conference Centre for our regional family business conference putting South West family firms on the map. Join us for our regional family business conference that seeks not only to bring the family business together but also provides a great opportunity to discuss some of the unique challenges facing family firms and to hear insights from other family business people and their advisers who have already dealt with some of these challenges too. As well as some great speakers providing great insights there will be a mini expo during the networking breaks showcasing some fantastic businesses and their products and there is plenty of time for networking too. Confirmed speakers at the forum include Richard Clothier, Managing Director of Wyke Farms and James Staughton, CEO of St. Austell Brewery. The Forum runs from 9.30 am until 2.00 pm inclusive of a networking lunch and full hospitality. During the afternoon there will be separate workshops on some of the challenges facing family business owners which will be annouced in due course and can be booked separately. 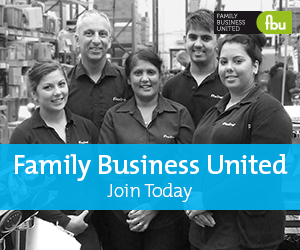 This event is being organised by Family Business United and sponsored by Western Pension Solutions. Further sponsorship opportunities are available so please do get in touch if you want to find out more. If you have any questions, or I can be of any further assistance, please do not hesitate to ask.